A sub-group of people suffering from attention deficit/hyperactivity disorder (ADHD) self-medicate with cannabis. This is the result of a study conducted at the Department of Psychology of the University at Albany in New York, USA, which examined data of 2811 ADHD patients collected in 2012 from a national U.S. survey of cannabis users. Patients with ADHD may be subdivided into groups suffering more from hyperactivity and groups suffering more from attention deficit. When asked about the ADHD symptoms study participants have experienced when not using cannabis, a higher proportion of daily users met symptom criteria for ADHD diagnoses of the subtypes that include hyperactive-impulsive symptoms than the inattentive subtype. For nondaily users, the proportions of users meeting symptom criteria did not differ by subtype. Researchers wrote that “these results have implications for identifying which individuals with ADHD might be more likely to self-medicate using cannabis." According to several Romanian newspaper articles Romania legalizes the therapeutic use of cannabis products. The new laws 143 and 339 regulate the medicinal use of cannabis preparations. Manufacturers will be able to make requests to the National Medicines Agency to be allowed to sell cannabis-based medicines. It is expected that the Ministry of Health will include cannabis preparations in the list of medicinal drugs, but it remains unclear from the articles, which preparations are concerned and whether they are restricted to approved medicines such as Sativex, or also cannabis flowers, for example of the Dutch company Bedrocan. Ziare.com of 6 October 2013. According to a new law the possession of up to 10 grams of cannabis by those aged 18 or older is punishable by a fine of 100 Swiss Francs (about 80 EURos). In the past the penalties for the possession of cannabis varied greatly between cantons. This decriminalisation does not apply to the possession of larger quantities of cannabis or cultivation, which according to the law remain criminal acts. Blog in the journal Taz by Hans Cousto. Researchers showed that THC (dronabinol) injected locally into the nodose ganglia of rats suppresses apnoea. They wrote that “these findings underscore a therapeutic potential of dronabinol for the treatment of obstructive sleep apnea.” The nodose ganglia belongs to the vagus nerve, which influences breathing and other body functions. 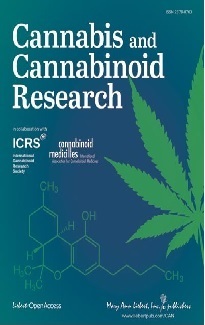 Studies suggest that increased circulating endocannabinoids may alter the function of blood vessels both positively and negatively in type 2 diabetes, and “that part of the beneficial effect of cannabidiol in diabetes may be due to improved endothelium-dependent vasorelaxation.” The endothelium is the inner wall of blood vessels. Division of Vascular Medicine, University of Nottingham, Royal Derby Hospital, UK. The chemotherapeutic agent paclitaxel (PAC) can cause neuropathic pain. In mice cannabidiol (CBD) was protective against this toxicity to the nerves and this effect was in part mediated by the 5-HT1A receptor system. Researchers wrote that “adjunct treatment with CBD during PAC chemotherapy treatment may be safe and effective in the prevention or attenuation" of neuropathic pain due to chemotherapy. Department of Pharmaceutical Sciences, School of Pharmacy, Temple University, Philadelphia, USA. It is well known that physical exercise has positive effects on cognitive functions. In experiments with mice, which did treadmill running for one week, memory improved and these effects were dependent of increased CB1 receptor activation. Institute of Biological Sciences, Universidade Federal de Minas Gerais, Belo Horizonte, Brazil. In studies with mice THC and several other cannabinoids, which bind to the cannabinoid-1 receptor, increased urine production. Department of Pharmaceutical Sciences, Northeastern University, Boston, USA. Urban Health Research Initiative, BC Centre for Excellence in HIV/AIDS, Vancouver, Canada. Werb D, et al. BMJ Open, 2013;3(9):e003077. 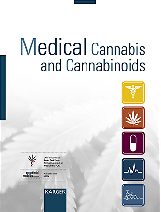 According to a survey of 628 Canadians, who use cannabis for medicinal purposes, “authorized and unauthorized users exhibited few meaningful differences with regard to medical conditions and patterns of use." In Canada more than 30,000 patients are allowed to use cannabis, but it is estimated that more patients self-medicate without permission. University of British Columbia, Kelowna, Canada. The Tibetan spiritual leader, the Dalai Lama, speaking at an event hosted by former Mexican president Vicente Fox, said that "the exception" for smoking cannabis would be if it has pharmaceutical virtues. "But otherwise if it's just an issue of somebody (using the drug to have) a crazy mind, that's not good," he said after being asked his position on legalization. AFP of 15 October 2013.